Jazz in Kenya today reflects the culture of the beautiful people of Kenya. Just like any other medium of communication TV, radio, internet and music in general. Jazz has a huge array of niche, targeted ways of reaching an audience. In Kenya, the Safaricom Jazz festival is a befitting event that brings jazz aficionados together to enjoy the beauty of jazz music. In conversation, Kavutha Asiyo the music director of the Safaricom Jazz; is a passionate musician, a teacher, a wife, and an admirer of all things jazz. Scatting passages from her music and joking when it makes sense. 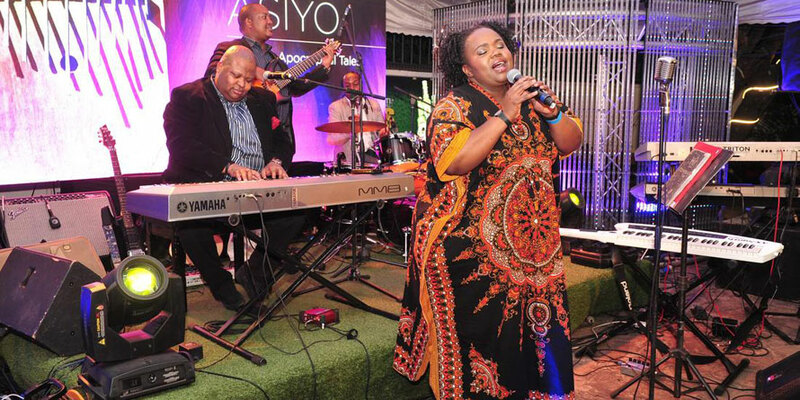 She’s exuberant about music and what it has done for our culture and people. Kavutha unbridled love for music enabled her to go to Berkeley Music School where she harnessed her powerful mercurial voice, as heard in one of her collaboration with Jacob ‘One Day’. 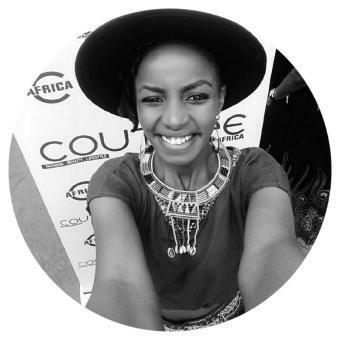 She got intertwined into the Kenyan music scene and met many musicians and influential people alike. Fate was to have it, in 2012, Kavutha met Kevin Mulei the CEO of MoSound. Imbued with the kind of work they did at Mo sound, her inner spirit was ignited to revolutionize the musical live scene in Kenya. Kavutha got into talks with Safaricom Limited to collaborate and curate what is now known as Safaricom Jazz Festival. The festival, which is in its 5th year will be celebrated in a big way, since its inception in 2014. The festival has had the pleasure of hosting Jazz greats such as Branford Marsalis, Jonathan Butler, David Sanborn, and the late bra Hugh Masekela. Kavutha acknowledges that the festival has been able to scale up many Kenyan acts and add a huge statement to their musical profile and visibility. 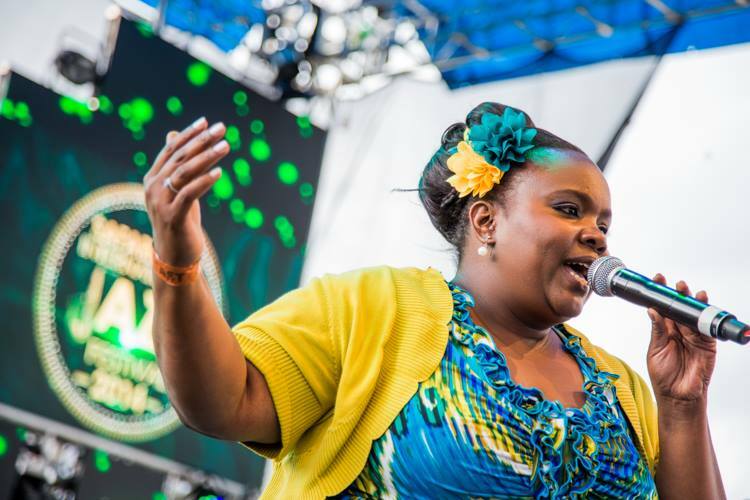 Kavutha, notes that Kenyan acts such as Nairobi Horns Project, Edward Parseen and Different Faces Band, The Limericks, Shamsi music and herself as a prime example, have enjoyed the benefits of being on such a platform as Safaricom International Jazz Festival. With a bright smile on her face, Kavutha acknowledges that the most impactful message that Safaricom Jazz has been able to pass across over the last 5 year is the power of music. Additionally, the huge growth in the number of musical enthusiasts flocking to enjoy Safaricom Jazz Festival has increased over the years and in turn, the festival donates all funds raised through ticket sales to Ghetto Classics. The festival’s proceed have been able to ensure the children at the Ghetto Classics music education continues by the way of providing musical instruments, music classes, and financial support. In addition to this, The Ghetto Classics have expanded its program beyond Nairobi with a branch at Mombasa started last year and hopes of one in Kisumu. Kavutha acknowledges that the festival has gotten more application from various musicians globally and it is a good sign that the Safaricom Jazz Festival has made a mark among many jazz festivals globally. 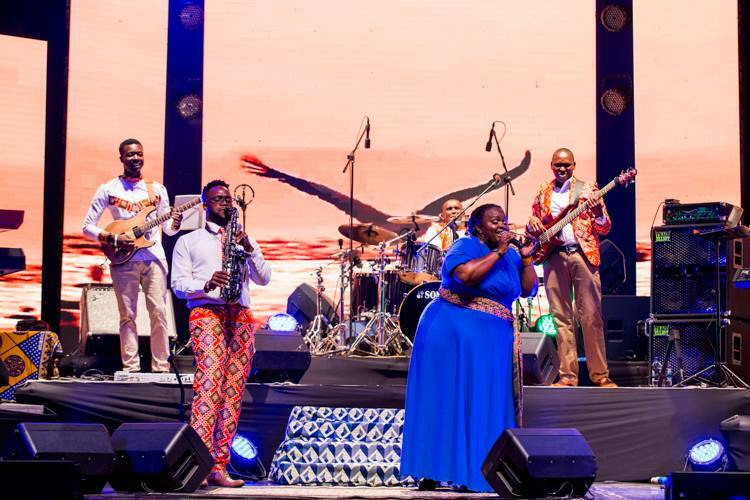 The Safaricom International Jazz Festival in a bid to continue with Safaricom’s efforts in supporting the arts and celebrating our diverse cultures. The festival has been able to grow from a one-week international festival in 2013 became a 3 part event in 2014/ 2015 and has now grown to a year-long event with 4 major events through the year. Kavutha hopes in the next 5 years, Safaricom Jazz will open its doors beyond the Kenyan borders and share the love of Jazz music to its sister nations.